Lathan Goumas - lgoumas@shawmedia.com Graduates look at a slide show of pictures prior to the 2013 commencement ceremony at Alden-Hebron High School in Hebron, Ill. on Sunday, May 19, 2013. 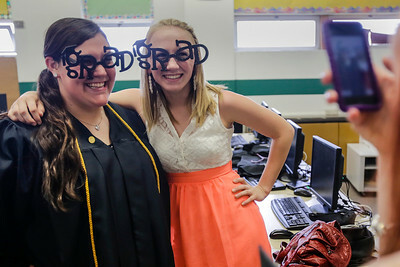 Lathan Goumas - lgoumas@shawmedia.com Brook Winkelman, 18, and Sparkle Lagerhausen, 18, wear glass that say "GRAD" as the pose for a picture taken by fellow graduate Harley Kowalski, 18, before the 2013 commencement ceremony at Alden-Hebron High School in Hebron, Ill. on Sunday, May 19, 2013. Lathan Goumas - lgoumas@shawmedia.com A graduate adjust his mortarboard before the 2013 commencement ceremony at Alden-Hebron High School in Hebron, Ill. on Sunday, May 19, 2013. Lathan Goumas - lgoumas@shawmedia.com Sparkle Lagerhausen,18, helps harley Kowalski, 18, get glitter off her face before the 2013 commencement ceremony at Alden-Hebron High School in Hebron, Ill. on Sunday, May 19, 2013. 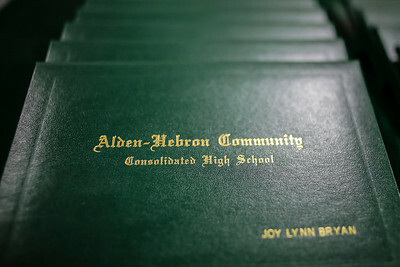 Lathan Goumas - lgoumas@shawmedia.com Diplomas sit on a table ready to be given to graduates during the 2013 commencement ceremony at Alden-Hebron High School in Hebron, Ill. on Sunday, May 19, 2013. 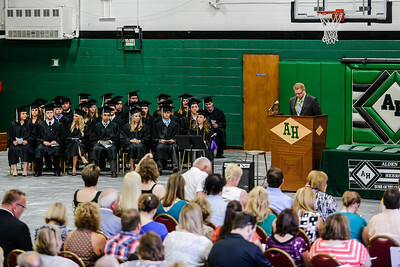 Lathan Goumas - lgoumas@shawmedia.com Graduates sit in the school gym during the 2013 commencement ceremony at Alden-Hebron High School in Hebron, Ill. on Sunday, May 19, 2013. Lathan Goumas - lgoumas@shawmedia.com Graduates line up during the 2013 commencement ceremony at Alden-Hebron High School in Hebron, Ill. on Sunday, May 19, 2013. 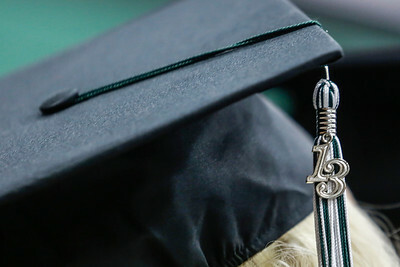 Lathan Goumas - lgoumas@shawmedia.com A tassel hangs front he hat of a graduate during the 2013 commencement ceremony at Alden-Hebron High School in Hebron, Ill. on Sunday, May 19, 2013. 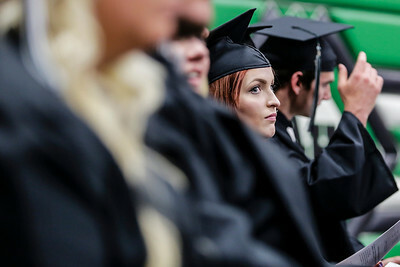 Lathan Goumas - lgoumas@shawmedia.com Harley Kowalski, 18, looks into the crowd of family and friends during the 2013 commencement ceremony at Alden-Hebron High School in Hebron, Ill. on Sunday, May 19, 2013. 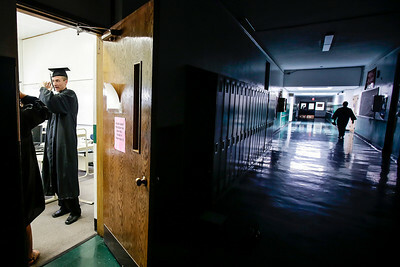 Graduates look at a slide show of pictures prior to the 2013 commencement ceremony at Alden-Hebron High School in Hebron, Ill. on Sunday, May 19, 2013.